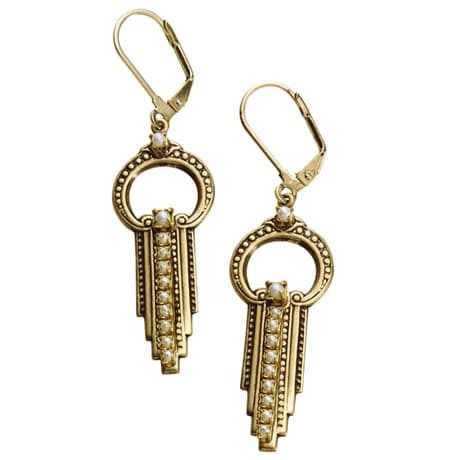 Sleek, sophisticated earrings have architectural flair. Grooved and beaded antiqued brass is set with rows of faux seed pearls. Earrings hang 2 ½" on brass leverbacks. Made in USA.